Our product range includes a wide range of jet ejectors for agrochemicals. Torr Design up to 0.05 torr. 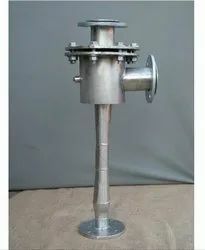 We are leading manufacturer, Importers and Service Provider of Jet Ejectors for Agrochemicals and our product is made up of good quality.